Hail damage accounts for more than $1.6 billion per year in roof damage in the United States, according to the Federal Alliance of Safe Homes. When a storm hits your area it may seem difficult to inspect your shingles from ground level, but there are simple strategies you can employ to determine if any damage has occurred. If you any suspect damage, consider calling a professional to thoroughly inspect the shingles for you. 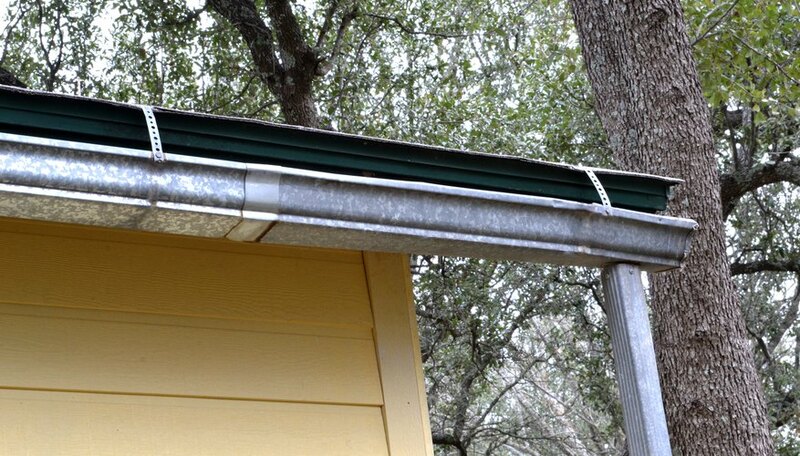 Check out the gutters and downspouts around your house. If you see unusually large amounts of mineral deposits, this might be a sign of shingle surface wear that is typical of hail damage. This applies only to asphalt or composition shingles, which have a granular mineral topcoating. Examine your gutters. 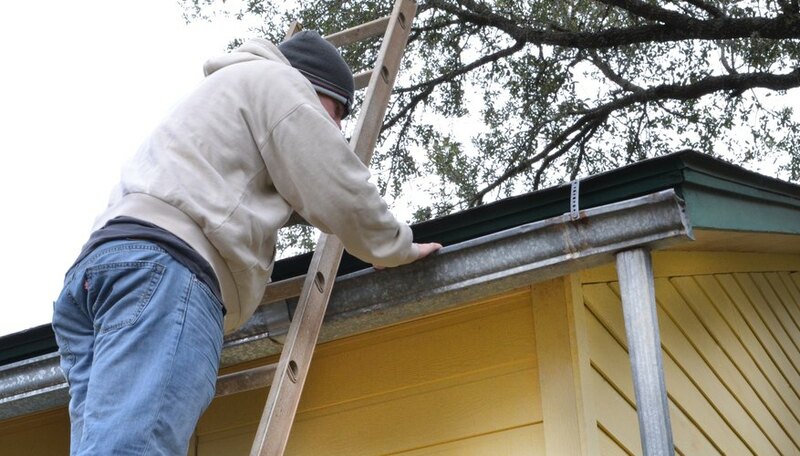 If your metal gutters display dents or dings from the hail, there is a good chance that your shingles were damaged as well. 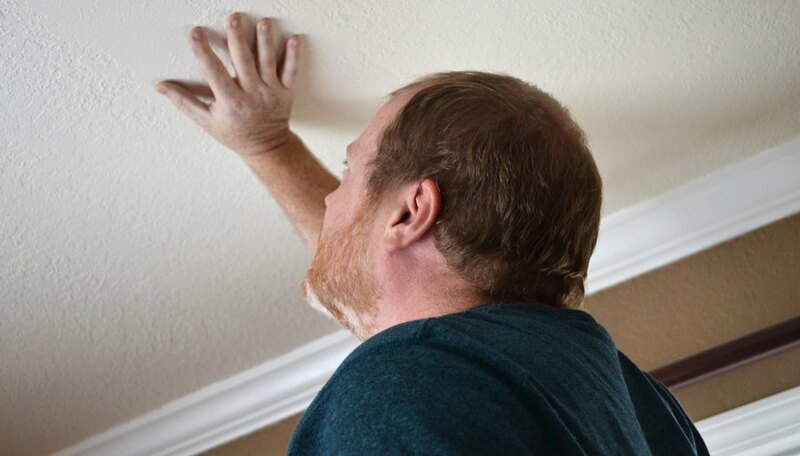 Inspect the ceilings in your home for signs of a leak. This is evidenced by discolored patches or holes in the ceiling and the presence of moisture. If you have access to the attic use a flashlight to check the underside of the roof for leaks right after a hail storm. 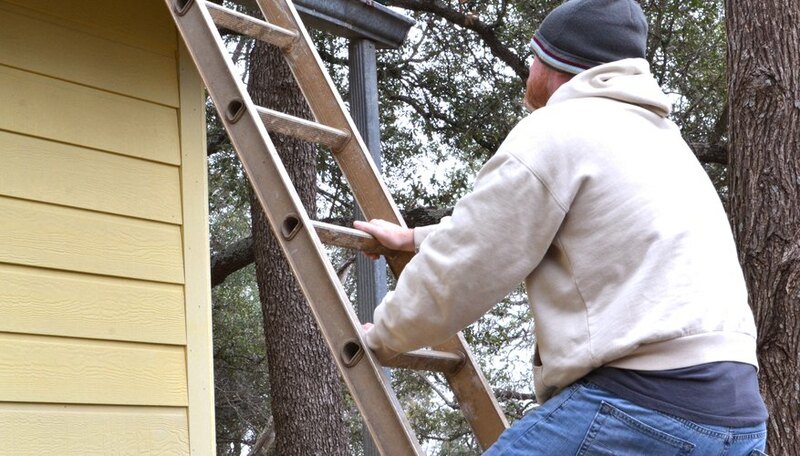 Lean a ladder against the side of the house for a closer look at the shingles. Without stepping onto the roof, you can easily observe the shingles close to the eaves, and you can scope out some of the more distant roofing areas with binoculars. 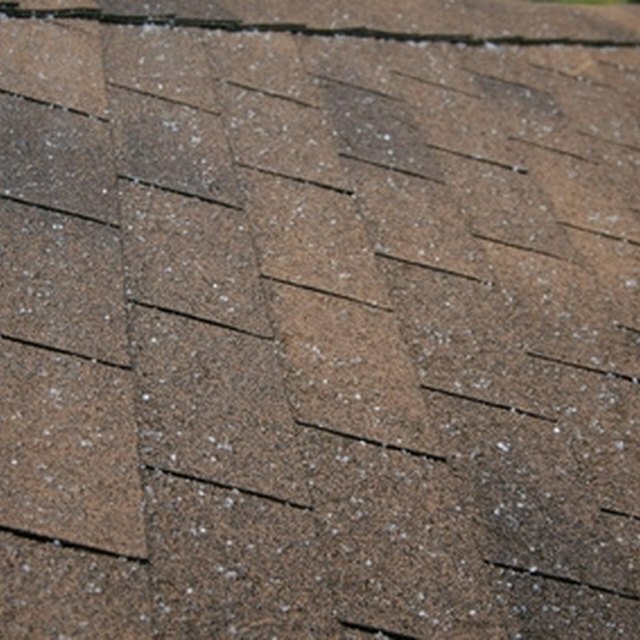 The signs of hail damage can include cracked shingles, chips on the bottom edges of shingles and dark spots or dimples that might indicate surface abrasion.